Luxury apartments in the central areas of Tirana are catching up, as a number of luxury projects are under construction. Prices are rising rapidly and are reaching the level of 4,000 euros per square meter in the new project being built near the Presidency, reaching the highest level in the region, according to data reported by Colliers International. Tirana has also passed to Belgrade, which was the most expensive capital in the region, with about 3,000 euros / m² for Premium apartments. 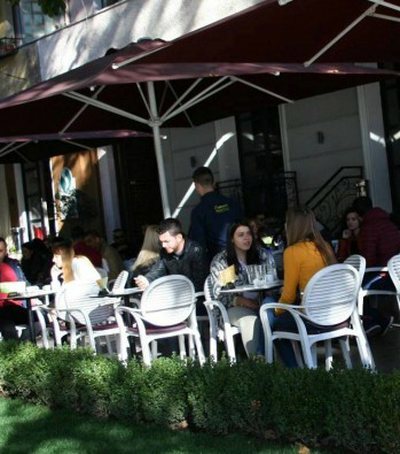 In Podgorica, apartments cost a maximum of 2,200 euros / m² and in Skopje they do not exceed 2,000 euros. According to the agency Colliers International Albania, operating in the real estate services industry, the total area envisaged to be built over the next five years (assuming normal construction performance) in the central areas of Tirana (projects of a certain scale) is estimated to be around 538,000 m². 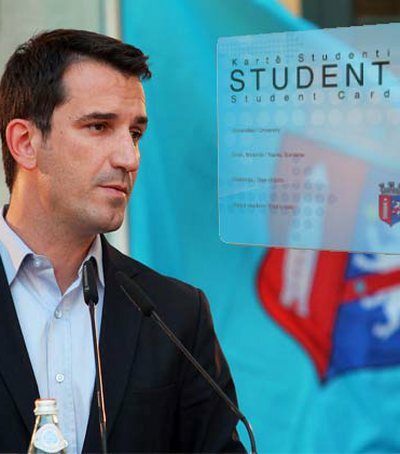 Arben Dervishi, chairman of the Association of Builders in Tirana, claims that for the bad luck, builders in Albania continue to build empirically and without real studies on demand in the real estate market in Albania. 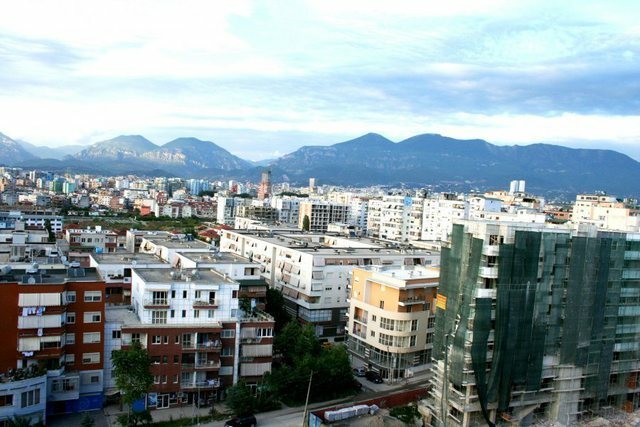 According to the Albanian Construction Portal, only 227 construction projects are taking place in the city of Tirana, with the largest share of construction of residential buildings and a small part of infrastructure projects in the city. Builder Hajredin Fratari says market needs envision a demand of 1,000 to 1,500 apartments per year, which is easily completed only through the bid of two or three projects mentioned above. While within the Ring are sold on average 100-150 premium apartments. Prices in the capital have a huge fluctuation, from 500-600 euros in periphery to over 3000 euros per square meter in downtown areas. Prices have risen rapidly in the last year, with 10-30% following a stagnation that occurred in the previous period, fueled by tax increases (mainly impact on infrastructure), and increased supply, as per operators cash purchases have increased. 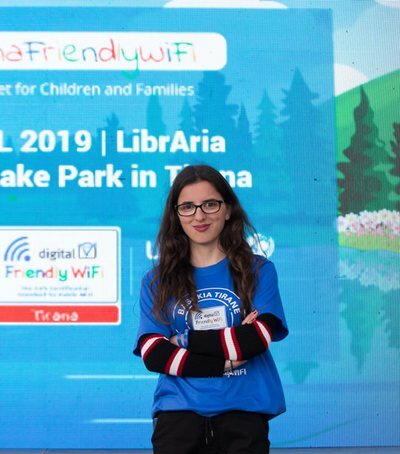 According to Numbeo, Tirana is currently the tenth most expensive city in Europe out of 103 cities surveyed in terms of house prices relative to the income of citizens (an index that measures the affordability of buying apartments) by listing besides cities like Milan, Rome, Paris, London, etc. 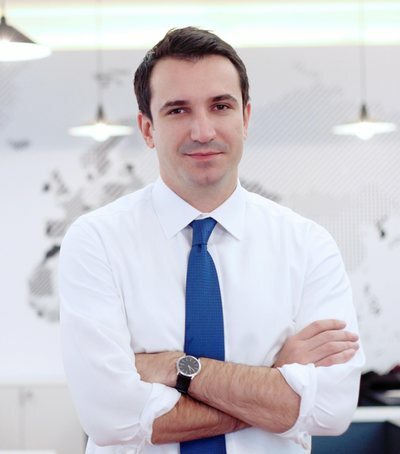 Major projects in central areas, according to Collers, will be launched on the market with a minimum price of 2,500 euros / m², except Kosovo Street, where prices fluctuate around 1500-2200 euros. This offer is totally opposite to what the market requires and the real capacity of the Albanian economy. According to Colliers' calculations, prices have no sense, as according to estimates of rent yield, the sale price is very high in relation to the income generated from the lease. Tirana remains in any case between the two contrasts, these prices in the suburbs are among the cheapest in the region, while those for luxury apartments have become the most expensive, although the per capita income of Albanians remains the lowest in Europe, with 30% of the average European. (Bosnia and Herzegovina - 32%, Montenegro 46%, Serbia and Macedonia have 36% of the EU average). Unlike Albania, the region has seen a fall in apartment prices. In Montenegro, according to the Global Property Guide, apartment prices are falling, mainly due to the departure of Russian buyers. Following an increase in 2017, there has also been a decline in residential dwellings. According to the Montenegrin Statistical Office, apartment prices fell by 5% in the second quarter of 2018, adjusted to inflation. Russians are selling holiday homes, while their demand for new homes has fallen sharply. According to Colliers Montenegro. The most expensive city in Montenegro is currently Bari, surpassing Budva at an average price of 1,461 EUR / m2 in the second quarter 2018. The average price per m² in Podgorica in the second quarter was around 1,116 EUR / m² in Budva 1258 EUR / m² and in Niksic 550 EUR / m². According to National Corporation for Mortgage Insurance (NKOSK), which monitors apartment prices in Serbia, the trend is declining, with the exception of Belgrade. The average price of one square meter in Serbia for residential areas was 878 euros at the end of June 2018. In the Serbian capital, average prices range from only 389 euros in Barajevo to 1,705 euros (on average) for residential space in Savski Venac. For luxury apartments in the most attractive areas of the city, the price of one square meter varies between 2,000 and 3,000 euros. 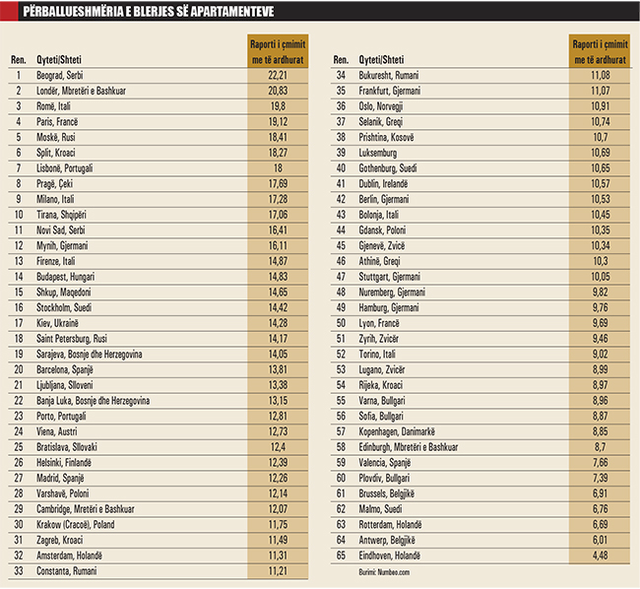 According to the Global Property Guide, in Skopje, average apartment prices are on average about 900-1200 euros per square meter and in other areas are about 23% lower than the national average of about 800 euros / m2.